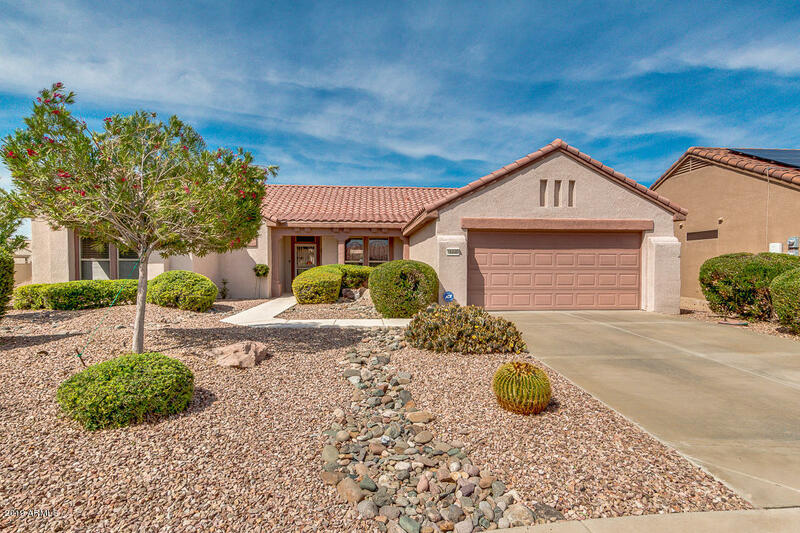 All SUN CITY GRAND - DESERT V homes currently listed for sale in Surprise as of 04/23/2019 are shown below. You can change the search criteria at any time by pressing the 'Change Search' button below. "Immaculate and move in ready home in Sun City Grand on a cul-de-sac lot with 2 bedrooms plus a den and 2.5 baths. Features include formal living, dining and family rooms, ceiling fans throughout and tile in all the high traffic areas. Island kitchen opens to the family room and includes pantry and dining area. Master bedroom boasts a bay window, bath, and walk in closet with custom built-ins. Secondary bath has a walk in tub. Large laundry room with extra storage. Large backyard with pergol"